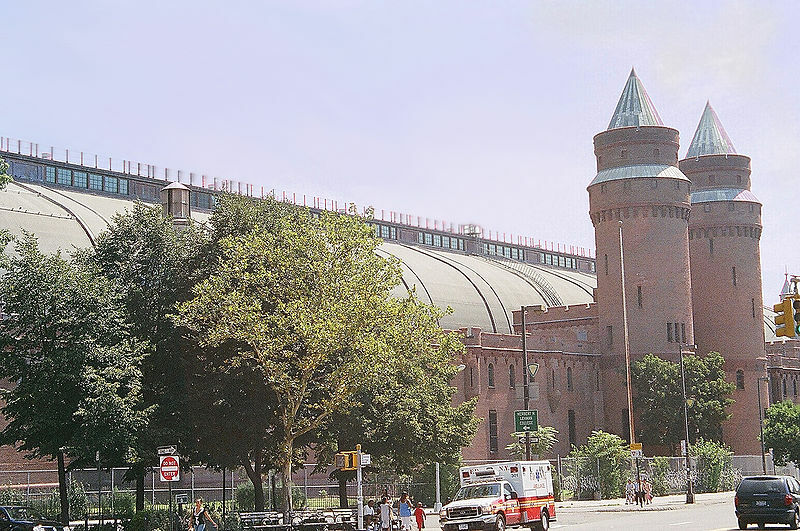 The Kingsbridge Armory, with its massive and crenellated parapets, gives the appearance of a medieval Romanesque fortress. Ofﬁcially the home of the 258th Field Artillery (8th Regiment), it is reputedly the largest armory in the world, covering an entire city block. 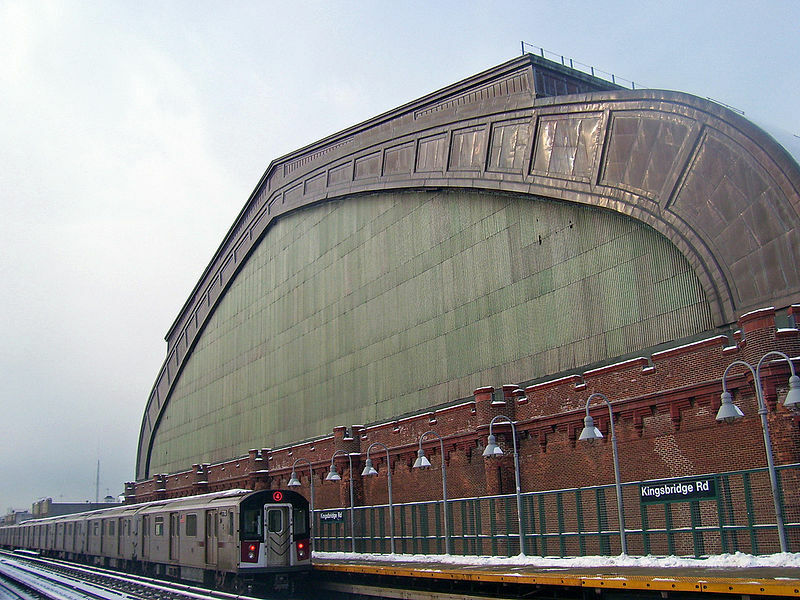 Designed by the ﬁrm of Pilcher & Tachau, which gained acclaim for their competition design of 1901 for the Squadron C Armory in Brooklyn, the Kingsbridge Armory was built on the site of the proposed eastern basin of the Jerome Park Reservoir. Excavation had begun for the eastern basin in the early 1900s, but the state legislature authorized the site for a National Guard Armory in 1911. A number of military relics were exposed during the excavation, reﬂecting the site’s proximity to the sites of Fort Independence and Fort Number Five of the American Revolution. The red-brick walls are timed with stone and punctuated at regular intervals by slit window openings. Two semi-engaged, round towers crowned by conical roofs ﬂank the main entrance. A stone stairway leads up to the round-arched doorway, where massive iron gates protect paneled doors. A metal and glass roof spans the enormous drill hall.